Everyone knows where this is. Right? Of course! Disneyland!! My all-time favourite vacation spot! If you are planning on going, with or without kids, here are some things to maybe help you plan your trip. Yes, they may change and that is okay. But if you have an idea of what things cost, you will be prepared. Most meals are quite large and it is possible for an adult and a child to share. This is a lot less expensive than buying an adult meal and a kid's meal and finding you leave half of it behind. A great place to check menus and get an idea of cost is http://allears.net. 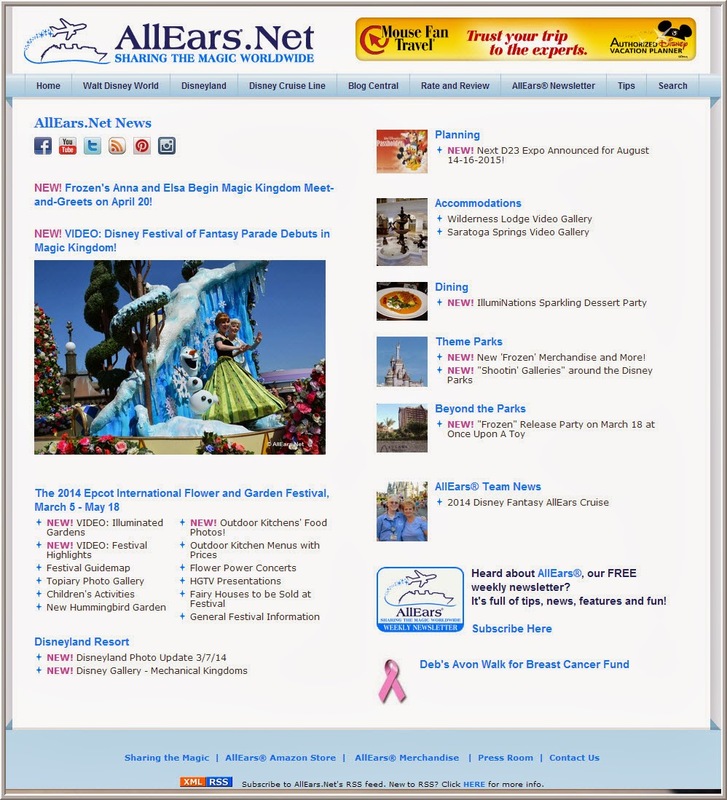 They provide news about everything Disney, including Disneyland, Disney World and Disney Cruises. This really is my "go-to" place for Disney information! Another great site is http://www.mousesavers.com. MouseSavers.com is a guide to hotel discounts, park discounts, and other discounts to numerous to mention! I love this site! Lots of great information on how to save money on your trip. If you are going to be taking photos at Disney (and who wouldn't be?) then spend a few dollars on one of these passes. When my hubby and I spent 12 days in Disney World last June, we purchased the Photo Pass+ card before we left and I am so glad we did! It is a bit more expensive than the Photo Pass card but so well worth the extra! It cost $70 and we ended up with about 1000 photos! Including the ride photos! (A friend of mine ended up with over 5000!) If you have the Photo Pass Card, the ride photos are extra, but with the Photo Pass+ card they are free!! And I DO like FREE! Every time you see one of the Disney Photographers, stop and ask them to take your picture. They have the big professional cameras but will also take photos with your camera! And ALWAYS ask if they do the magic pictures! You never know who will be in the photo with you when you get them! 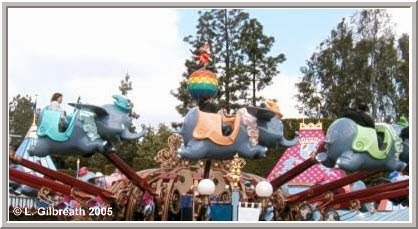 I have had Tinkerbell, Stitch, Simba, the frog from The Princess and the Frog, as well as bunch of balloons in my photos! Once you are back home, you can access your gorgeous photos and add borders, sayings, etc, before sending them to your favourite photo shop for printing. Photo Pass+ is now available for Disneyland too! - Wear comfortable walking shoes! Runners with a good arch support are perfect! You will find if you wear flip-flops that your feet will tire a lot faster than if you wear runners. Even sandals with a good arch support would be okay. I wore flip-flops last year in Disney World and my feet still bother me 6 months later! - Anaheim and Orlando get a lot of sun, so make sure to take sunscreen. At least an SPF35, especially if you have a fair complexion and for kids. Even an SPF50 for kids would be excellent. - Wear a hat with a brim! Baseball caps don't cut it! Ears and the back of your neck burn really quick and can be incredibly painful! - Some rides, such as Splash Mountain and Grizzly River, are wet, so it is a good idea to bring along a rain poncho if you want to stay dry. If you don't care about getting wet, then bring along a towel to dry off with after the ride. 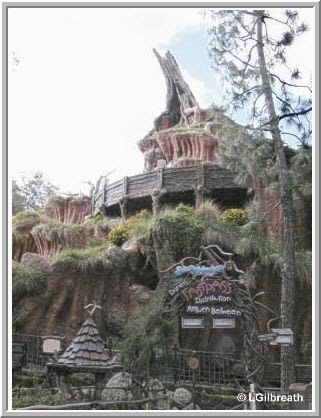 On Splash Mountain, sit in the back if you want to stay relatively dry, but sit in the front if you want to get drenched! On hot days, this is my favourite ride for cooling off! - Disney characters can be found everywhere in the park so you can have your photo taken with them. Some lines are really long, especially for the more well-known characters, and it is a good idea to have a snack and some sort of activity for the kids so they don't get bored. Quite often, if a different character will be coming along shortly, the staff will tell you so you can go and hop back in line to wait for the next one! And don't forget to look for them in out of the way places. In Epcot, we found Mickey standing in an alley between exhibits! No line up! Woohoo!! - Make sure to take along water! Stay hydrated! I always find Anaheim to be drier than Orlando, but I find I need just as much extra water in both places! Orlando is VERY humid but with the heat and humidity combined, it is really draining. Drink lots of cold water to keep your body temperature down! And get on those wet rides! In Disneyland, my favourite rides are Splash Mountain, Big Thunder, and The Matterhorn, and in California Adventure, I love Grizzly River Run and Soarin'. I have yet to try the Sun Wheel and California Screamin' (this summer...), and Tower of Terror is WAY off my list! I am not a big fan of elevators to begin with and there is no way I am willingly getting into one that free-falls! I am really looking forward to trying the new Cars Land rides! 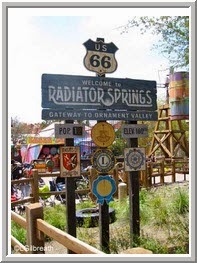 Mater's Junkyard, Flo's V8 Cafe, and other familiar places from the Cars movies greet you as you walk down Route 66. I plan on spending my Magic Morning on the Radiator Springs Racers! But if you are not taking the kids with you, don't stay away from the kid's rides! They are a lot of fun! I have ridden pretty much all of them over and over and never tire of them. Disneyland and Disney World are two places where kids come in any size and all ages! You are never too old for the Happiest Place on Earth! I have a few favourite places to eat at both Disneyland and Disney World. In Disneyland, I love Ralph Brennan's Jazz Kitchen in Downtown Disney for their oh, so tasty Pasta Jambalaya (big enough to share). Their New Orleans Bread Pudding is filling and sweet and wonderful, and their appetizer Louisiana Crab Cake is out of this world! And you can't go away without trying the Beignets! If you are staying at one of the Disney Resorts, the Tangaroa Terrace at the Disneyland Hotel is awesome! They have a great breakfast at a decent price. In Disney World, my hubby and I decided to try Tony's Town Square Restaurant in Downtown Disney. Based on Lady and the Tramp, the décor is old world Italy. Rustic, homey, and comfortable. And the food! OMG! I would eat there every day if I could! The service was what you would expect in the best restaurants anywhere - absolutely superb! I wish this restaurant was in Disneyland too! 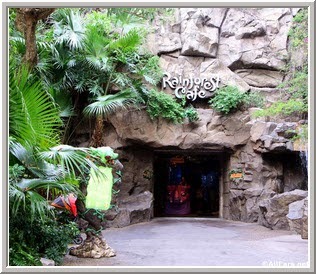 In both Disneyland and Disney World, I love the Rainforest Cafe! The décor is wonderful and the food is great! The portions tend to be on the big side, especially the burgers, so good to share. There is so much more I could tell you! But go and have a look at the links I gave you above and check out all the good stuff! Tower of Terror - still a big fat NOT ON YOUR LIFE!! I also tried out the Radiator Springs Racers! AWESOME!! Make sure to take advantage of the Fast Pass for this one or you will be in line for a LLOONNGG time! This is AWESOME!!! Thanks for sharing your experiences and places to go and try!! Thanks BUNCHES, Janet! It will be my first time to DL! :D Sooooo excited!!! I've done the Disney thing a few times, (actually have a Disney time share) and was aware of most of your info. However, I did not know there was a photo-pass plus card. THANK YOU!! My daughter always wants those ride pics. This will be soo much cheaper. Marvelous Metals - Use Your Stash!